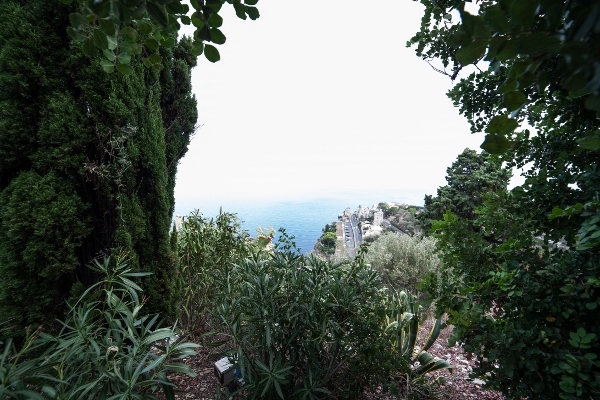 Taormina, a magnificient Sicilian wedding location, is one of the most famous seaside resorts in the world. A great place to get married in Italy. A typical medieval town, situated in the deep end of Italy, on a plateau below Mt. Tauro, in the Eastern coast of the island of Sicily. 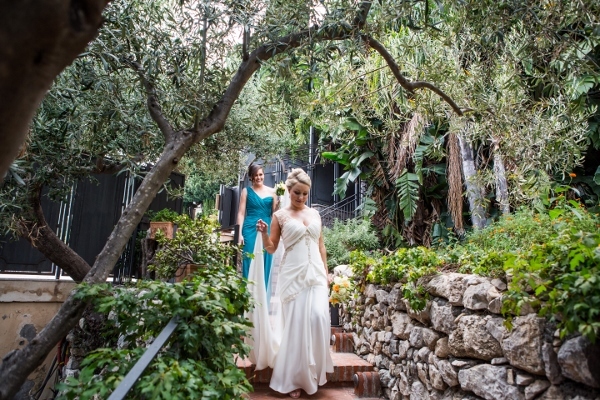 Suspended between rocks and the Mediterranean Sea, you’ll have the time of your life in this great wedding location, surrounded by an almost tropical vegetation, by almonds, olive-groves and by the smell of oranges-trees. Orange flowers are typically carried by the brides on their wedding day in Italy as a symbol of purity. You will lose yourselves walking its narrow medieval streets, led by the ever-blowing wind, or discover its beautiful cafés, restaurants, elegant shops and secluded gardens. Taormina is so awe-inspiring it is not a surprise that a lot of artists of different arts chose it as a place to unwind and spend their holidays, among them the writers D.H. Lawrence, Guy de Maupassant, John Steinbeck, Luigi Pirandello, Oscar Wilde, the painters Paul Klee and Gustav Klimt, musicians like Brahms and Wagner and movie stars such as Greta Garbo, Francis Ford Coppola, Marcello Mastroianni and Elizabeth Taylor. Taormina boasts a number of very important monuments that may be the best background for your marriage (and your pictures too), above all the Ancient theatre, probably built by the Greeks around the middle of the third century B.C., and then completely reworked by the Romans. Even J.W. 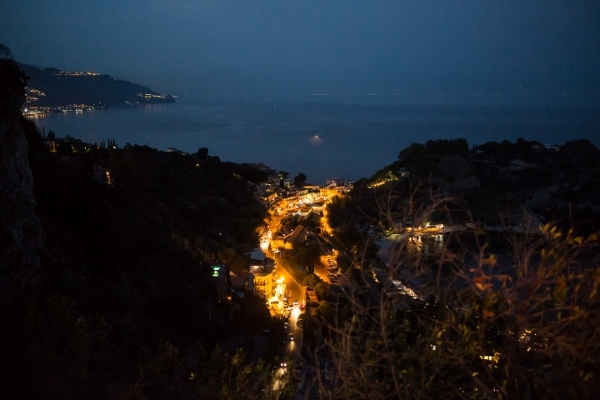 Goethe sang from Taormina the praises of this town, admiring the landscape where the Etna volcano, the Coast and the sweetest of skies all melt into one. 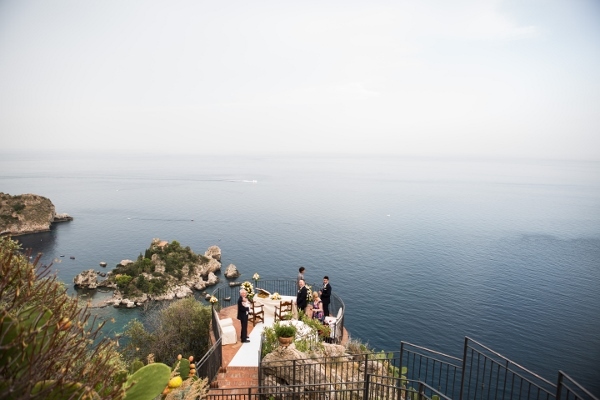 You can decide for a wedding in Taormina in one of the many churches placed around the town, like the Cathedral, St. Pancrace’s church, St. Catherine’s church, St. George’s church or just take a look at the landscape while dreaming about a blissful life together from the top of Mt. Tauro, where the Santuario Madonna della Rocca is located. 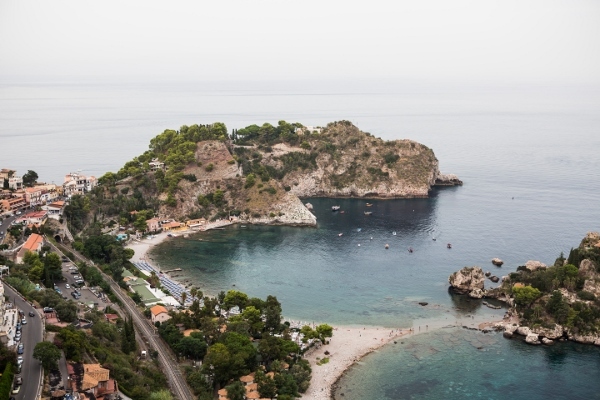 There’s a lot to do for you in Taormina, whether you want to go shopping, spend some time by the seaside, play tennis or golf, or just relax and have a drink in gorgeous places. 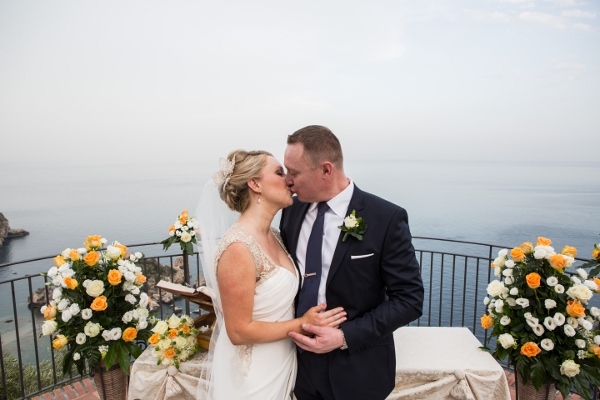 Taormina is the top site for a wedding in Sicily.